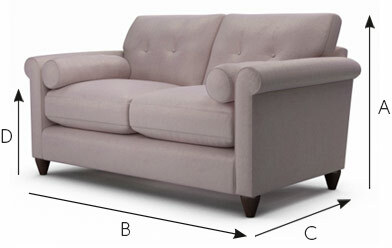 With classic proportions combined with modern tailoring details, Phoebe is a very elegant and timeless shape. Slim scroll arms but generous seat cushions also mean Phoebe is perfect for smaller spaces. Phoebe is fibre-filled, which means she's soft and inviting, but the cushions will need plumping regularly throughout the week to avoid flattening.